WHAT KNOWLEDGE AND TO WHO???? 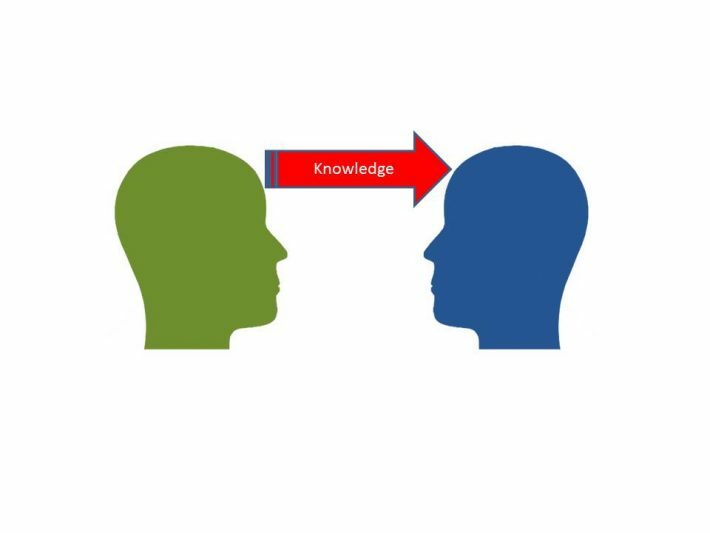 There are two basic categories of knowledge transfer (1) codification – when the knowledge transfer is based on documents, repositories and knowledge databases and (2) personalisation – involving interaction between people. In the professional work we do it is the personalisation angle that is vital. We often help clients to negotiate complex contracts. Negotiation is a skill and, we argue, that a skill is more difficult to transfer than knowledge. Our knowledge transfer goes through a number of phases. The first is to understand why the negotiation is required in the first place. It is an undoubted fact that many buyers and senior organisational people are negotiating without a modicum of experience. There is regularly the obstacle of a client telling us that no negotiation is possible with a particular supplier. Having agreed that negotiation is not only possible but necessary, we then commence the detailed planning of a strategy and tactics. This involves us conducting rehearsals of the negotiations. We did this for a government department on a contract with a value in excess of £ 1 billion. Our rehearsal of the supplier’s likely tactics were accurate and ensured that the negotiation team were well prepared. The next stage of knowledge transfer is the conduct of the actual negotiation. We are happy to lead the negotiation and we are equally happy to support our client’s negotiation team. The next stage of knowledge transfer is that of reviewing the actual negotiations, identifying where tactics could have been varied, where the approach was successful and where opportunities were missed. The million $ question is how does the client know that knowledge has been transferred? Is the recipient(s) to be ‘tested’ in a real life scenario? Is the contract going to include a KPI? What happens if the client alleges that they have not acquired the necessary knowledge? Site Security – Who is that on our site?